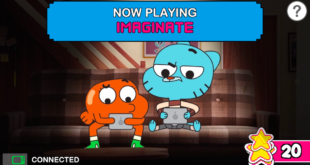 Called Gumball VIP the experiment will quiz fans on episodes of the show as they air on linear TV. 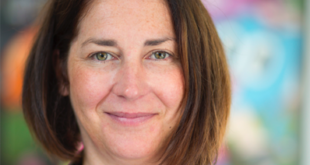 ‘We’re delighted to be kicking off the EMEA merchandise programme and bringing the show’s much-loved aspects to life,’ says Cartoon Network’s Johanne Broadfield. ‘We have big plans for the show and are already working on new episodes that we hope will have audiences laughing louder than ever,’ says The Amazing World of Gumball’s Ben Bocquelet. In a new partnership with Turner, Sky is beefing up its Sky Kids app offering with classic and new animated series. 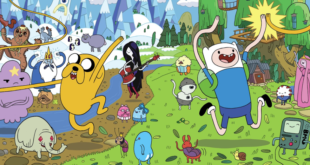 Brands at the forefront of the deal include the likes of the award-winning Adventure Time, The Powerpuff Girls, the new-look Ben 10 and The Amazing World of Gumball. 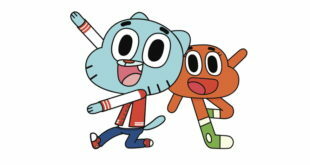 Rainbow Ruckus sees Gumball and Darwin try to save the town of Elmore from Jealousy.